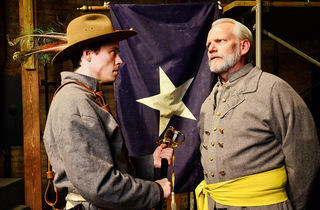 Lifeline revisits Karen Tarjan's smart, measured adaptation of Michael Shaara's Gettysburg novel. 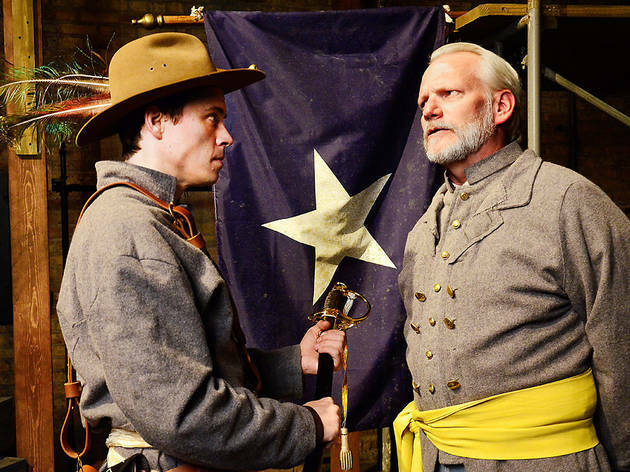 War-wearied General Robert E. Lee is roused in the middle of the night to analyze the Union troops’ movements with his fellow officers in Lifeline Theatre’s The Killer Angels. The men’s strategizing is set against a quiet din of crickets chirping and distant guitar strumming by soldiers on the other side of camp. Cigar smoke and tentside fires form a thick haze in the air. These understated sensory choices aren’t groundbreaking, but they’re just a few of the ways the smart production uses subtle suggestion to animate a stark, intimate space and transform it into the epic scenes of one of America’s most storied conflicts. 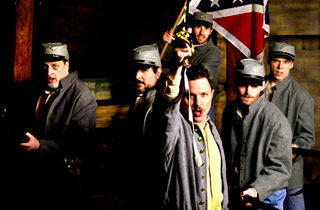 Adapted for the stage by Karen Tarjan, Michael Shaara’s 1974 Pulitzer Prize–winning novel about the Battle of Gettysburg (which was also turned into a 1993 movie) takes some historical liberties but caught the imaginations of a Civil War–obsessed public by incorporating real people and largely real events from those three July days in 1863. 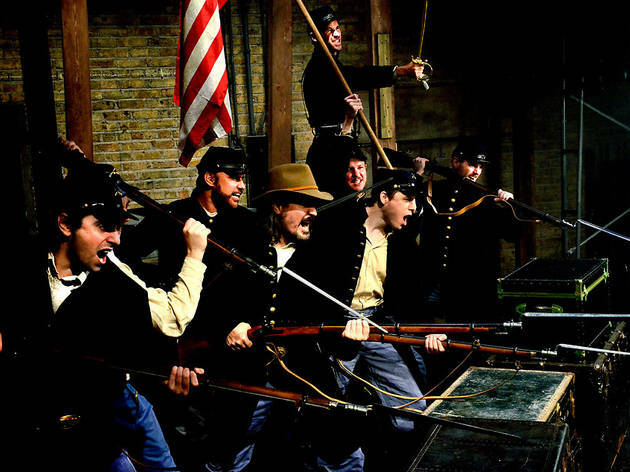 There are a lot of bearded men in uniform to keep straight in the play, but the plot centers on Confederate commander Lee (Don Bender), his second-in-command Gen. James Longstreet (Tom Hickey) and the Union’s charismatic Col. Joshua Lawrence Chamberlain (Michael McKeogh), among more than a dozen other historical figures portrayed by a cast of ten playing multiple parts. 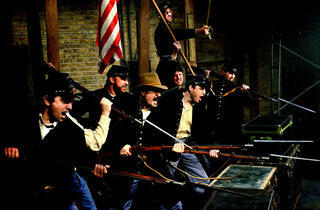 Some knowledge of the war and the battle’s context is helpful, but not essential. 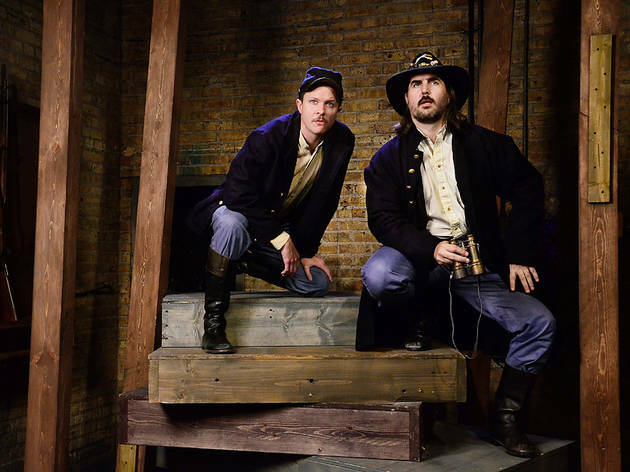 The actors bring an authentic humanity to their roles—McKeogh and Bender especially—which makes the story engaging, if potentially hard to keep up with if you don’t know your battlefield history. 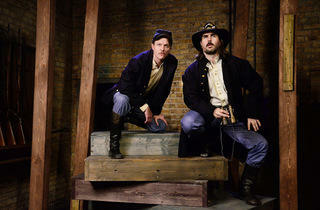 There’s not a lot of backstory or the deep character development some other Civil War stories include. Wives, sweethearts and children are mentioned only in passing, or in the familiar, haunting ballads played between scenes by a narrating troubadour (Matt Fletcher). This piece is about war and the game-changing battle itself—both its tactical planning (or lack thereof) and its jarring, inherent drama. 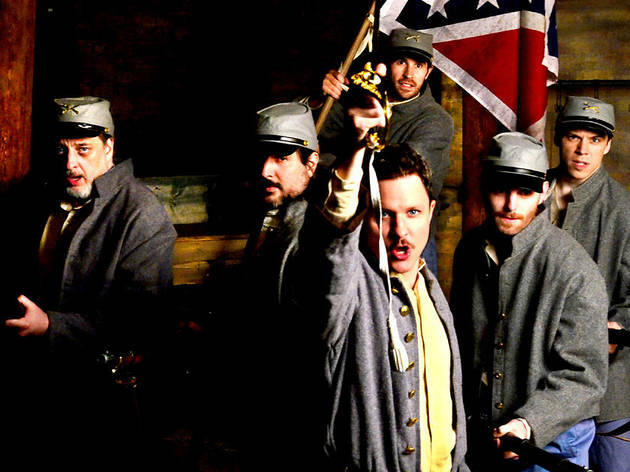 It would be easy with such legendary material as the fighting at Little Round Top and Pickett’s ill-fated Charge to go too big or too hard, but director Matt Miller’s interpretation is restrained and thoughtful. When you’re talking about tens of thousands of people killing each other in the hills and orchards of Pennsylvania with the fate of a nation at stake, a little goes a long way.